The JCSP Library at Riversdale C.C. was officially opened in 2010. We have a full-time librarian, Ms. Carmody. 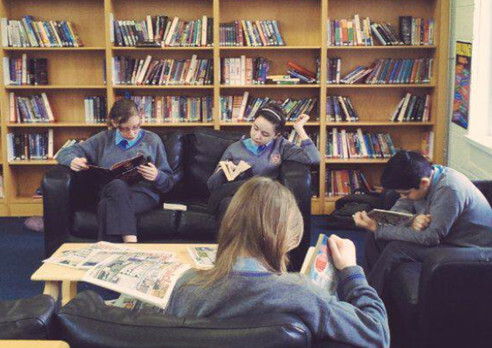 The Library is a hive of activity before, during and after school every day. 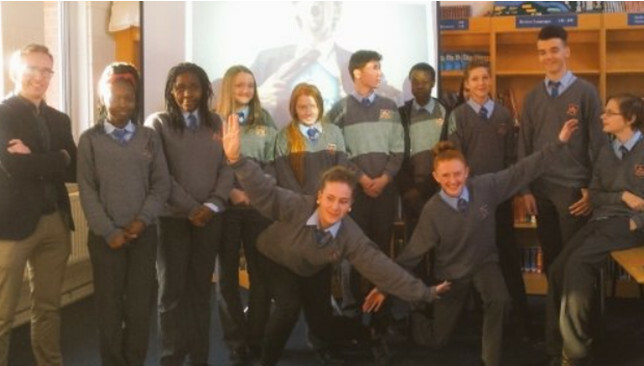 Students can take part in a range of lunchtime and after school groups such as Minecraft, Writing Group, Chess, Movie Making or a number of other activities. After school we have Homework Club. 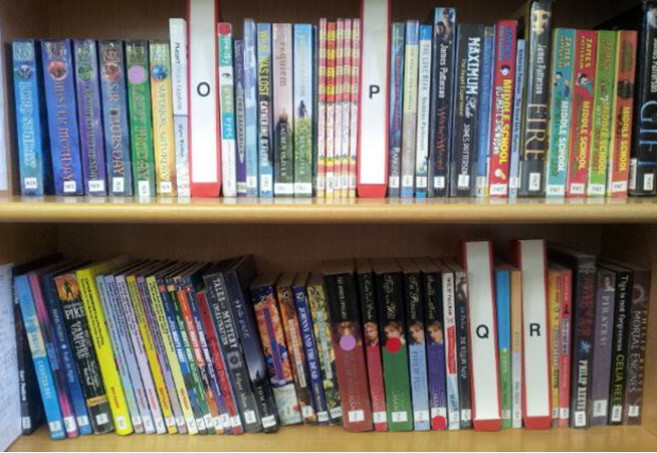 Classes are held in the Library all day with a strong focus on literacy and numeracy skills. Authors and speakers are regular visitors to our Library. 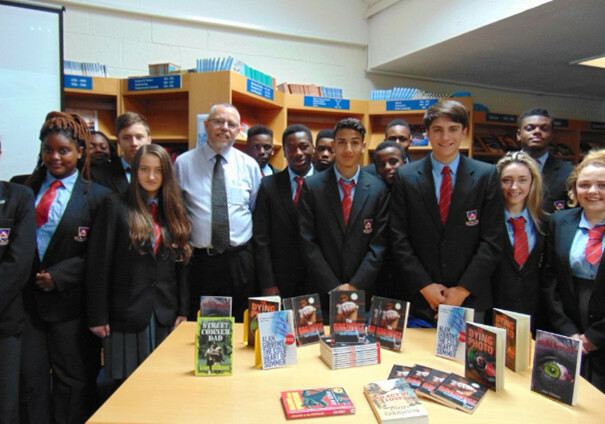 Author Alan Gibbons on a visit to the Library. Dr. B.W.Fitzgerald teaching us about the Secrets of Superhero Science.